NFL Sunday Ticket coming to AT&T's wireless devices? With AT&T in the process of purchasing DirecTV, there is talk that the nation's second largest carrier will be offering NFL Sunday Ticket to its wireless customers. During a meeting with analysts, AT&T talked about Sunday Ticket as content it could use as a possible bundle offered to subscribers. Even more exciting, executives from the wireless operator talked about not counting the streaming NFL content toward subscribers' monthly data plans. 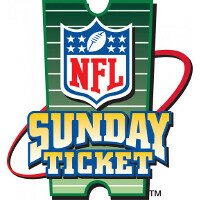 DirecTV offers the Sunday Ticket, which features out-of-market NFL games, as a premium service. Those who pay extra can have the games streamed over their mobile devices. AT&T could use the NFL games as a way to expand market share. Currently, Verizon offers a monthly subscription to NFL Mobile, which includes Red Zone and weekly games streamed each Sunday, Monday and Thursday nights during the season. In addition, Big Red is allowed to stream games involving the subscriber's home-market team. DirecTV's contract with the NFL expires at the end of the current season, and if the deal isn't renewed, AT&T has the right to pull out of the deal to buy the satellite content provider. An AT&T acquisition of DirecTV wouldn't necessarily give it the rights to stream the games to smartphones and tablets. DirecTV's deal with the NFL covers only those paying for the satellite service. Some of the analysts said that AT&T was merely expressing a hypothetical situation and was talking more about a long term plan to bundle NFL Ticket to mobile subscribers in the future. If they were to count the "streaming NFL content to subscribers' 'monthly' data plan"...One game on any given Sunday would BANKRUPT each subscriber with the PENALTY/overages. Thats what I don't understand, how could someone enjoy the NFL mobile on version when on a single week of watching games yiu would go over your data limit lol, it makes no sense to have a service that you can't really use. Some people will claim that they would just use WiFi which is also a bad excuse to justify these data caps, thr the whole reason to have the nfl mobile is to be able to watch a game if you're on a road trip or away from home.